Two priests of the Archdiocese of Philadelphia have been found unsuitable for ministry, the archdiocese announced Aug. 19 following Masses at the parishes where Father Andrew D. McCormick and Msgr. Gregory J. Parlante most recently served. For Father McCormick, 62, that course has been long and winding. Arrested and charged in July 2012 for allegedly sexually abusing a minor, he faced criminal trials in 2014 and 2015. Both ended indecisively in mistrials, and prosecutors later dropped all charges against him. 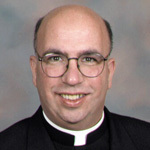 He had been placed on leave from ministry as pastor of Sacred Heart Parish in Swedesburg, Montgomery County in 2011 on an unrelated allegation of misconduct. As per archdiocesan policy, the church’s internal investigation of the 2012 allegation began only after criminal and civil legal actions against Father McCormick were concluded. The Archdiocesan Professional Responsibilities Review Board found the allegation of sexual abuse of a minor to be substantiated. Archbishop Charles J. Chaput accepted the board’s recommendation and informed Father McCormick. The statement said the priest “will either be laicized or enter into a supervised life of prayer and penance,” but did not indicate what the next step will be for Father McCormick, or when it will occur. Laicization is a church legal (canonical) process that relieves a priest or deacon from the clerical state, sometimes referred to as “defrocking,” rendering him a lay person. The Prayer and Penance Program (see a fact sheet) houses and supervises priests who voluntarily accept residence after admitting to sexual abuse of a minor. Currently it includes at least 12 priests, all of whom have accepted permanent restriction on their priestly ministry. It has been located on the campus of Villa St. Joseph, the archdiocesan priests’ retirement home in Darby, Delaware County, since 2005. In the case of Msgr. Parlante, 61, it was not sexual misconduct but drugs that introduced him to the criminal justice system. 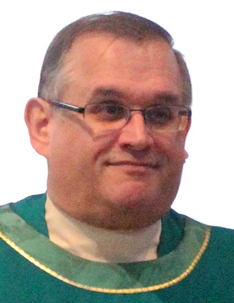 He resigned as pastor of St. Cornelius Parish in Chadds Ford, Delaware County in early spring of 2017 and has been on leave from ministry since then. By January 2018 Msgr. Parlante was arrested and charged with two misdemeanor counts of drug possession and one felony charge of theft. Police had determined that he allegedly stole approximately $5,500 from St. Cornelius’ church collections and used it to buy drugs through the mail. Only after the conclusion of the sentencing did the archdiocese’s investigation into Msgr. Parlante’s suitability for ministry begin. The archdiocesan review board determined that because of Msgr. Parlante’s violation of the archdiocesan policy on Standards of Ministerial Behavior and Boundaries, he is not suitable for priestly ministry. The future status of Msgr. Parlante is undetermined at this time while his public ministry remains restricted. A Delaware County official has recently cited the sale and use of methamphetamine as a growing scourge in the community. “Meth is becoming the new heroin,” said Upper Darby Police Superintendent Michael Chitwood in an article in the Delaware County Daily Times. Regardless of how wonderful a priest has been in the past, how can you accept that a priest who steals from church collections be fit for ministry? When he did wonderful things, he may have been “fit” to lead, but once he resorted to stealing, he was no longer fit. Stealing is a sin and a crime for which he should be punished. We don’t make exceptions for lay people who steal; why should we make an exception for a priest? It is these exceptions that are part of the problem. Roseann I could not agree with you more. My husband and I have know Monsignor for 20 years. He turned our parish around. He dedicated his life to serve others but when he had a problem they turn their backs on him. How they can say he is unfit for ministry is beyond my understanding.I am so angry and upset with this decision I question why I support an organization that turns their back on someone when they need support. I don’t see how this ruling is “Christ like”. He had a problem and is getting help. What happened to the church being loving and forgiving. We will continue our prayers for him and hope the Archdiocese will reconsider this decision. Monsignor has so much more give. How does a Msgr. become involved in trafficking Methamphetamine? Removing the Msgr. from the ministry in not turning our backs to him, it’s giving him the opportunity to save his own life. The Msgr needs our prayers, not continued responsibility. MSGR. Parlante is one of the finest human beings and dedicated priest you could encounter. He gave of his time unselfishly to all throughout his life. I’ve known him for over 30 years and feel it is unjust that, because of his struggle with pain due to improper medical treatment in which he suffered for 6 months, he is now “deemed to be no longer suitable for ministry”. You relied on him many times to tackle parrishes that were poorly handled and Msgr made them viable again. He had standing room only at Masses he officiated. He is one of the youngest priests in our Diocese you bestowed monsignorship. I feel that the Archbishop and the Diocese should have his back and defend Msgr Parlante. He has much to give and is surely more “Suitable” then most priests I have encountered in my 73 years as a Catholic.